Some years ago, no, some decades ago I was the editor of a publication called Narrow Gauge News, this was the news journal of the Narrow Gauge Railway Society, an organisation of some 1500 members world wide. It was my responsibility to publish an issue every two months, a task which I took on with some relish, collating all the visit reports and other snippets of information appertaining to narrow gauge railways. One of my favourite sections of the publication, and one which I developed considerably, was entitled Hand, Horse & Cable, and as the title implies, was dedicated to railways which used any of this form of motive power. In the early 1990s I was sent a report of an incline railway that had been built at Dryslwyn Castle near Llandeilo in South Wales, this was on my patch, well almost, so I made a mental note of going to see this incline one day. 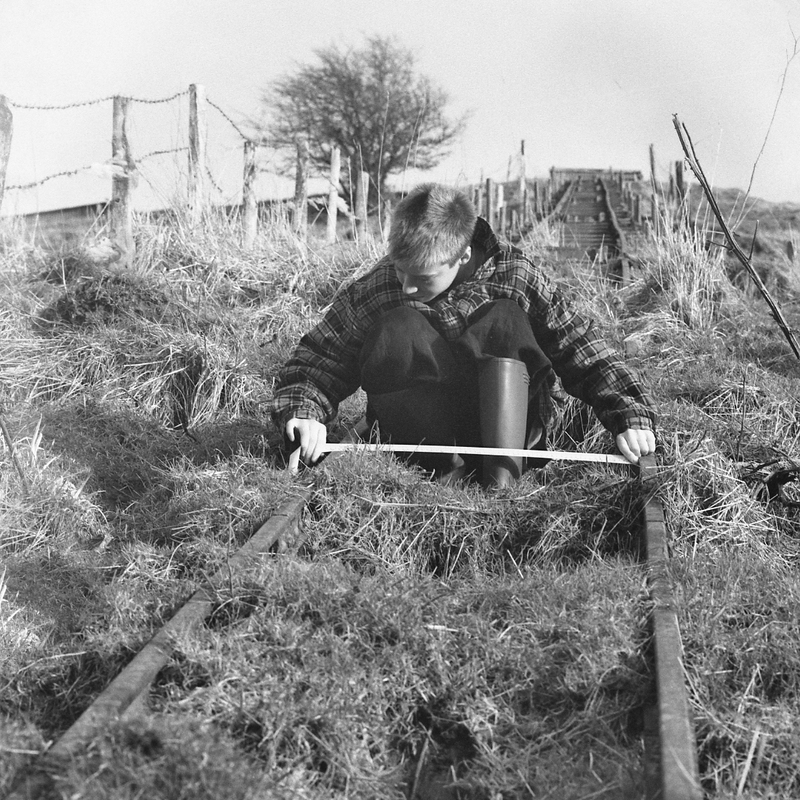 The railway had been built specifically to transport building materials from the road below the castle to enable much needed repairs to the structure of the remains. At the same time a number of hand rails and other H&S precautions were undertaken as well as a new footpath from the car park to the summit. It wasn’t until 6th January 1995 that I managed a visit and by this time much of the maintenance work had been completed and the railway was overgrown. The incline was very steep and used just one truck hauled by cable, a large diesel haulage engine and winch was in a protected structure at the top of the incline. The gauge was measured as 2ft nominal and was of fairly substantial rail, probably about 25lb per yard in weight, railway buffs will know what I’m on about. I’m not sure how long the railway was in situ but I believe it was gone shortly after this and another photograph was taken. Nowadays there is no trace of the railway and looking at the location it’s hard to believe there ever was a railway there at all!